Went to see if the Waterwheel was above water, but it was not. Found other interesting things though. Some info on the waterwheel. Hope this wets the appetite. 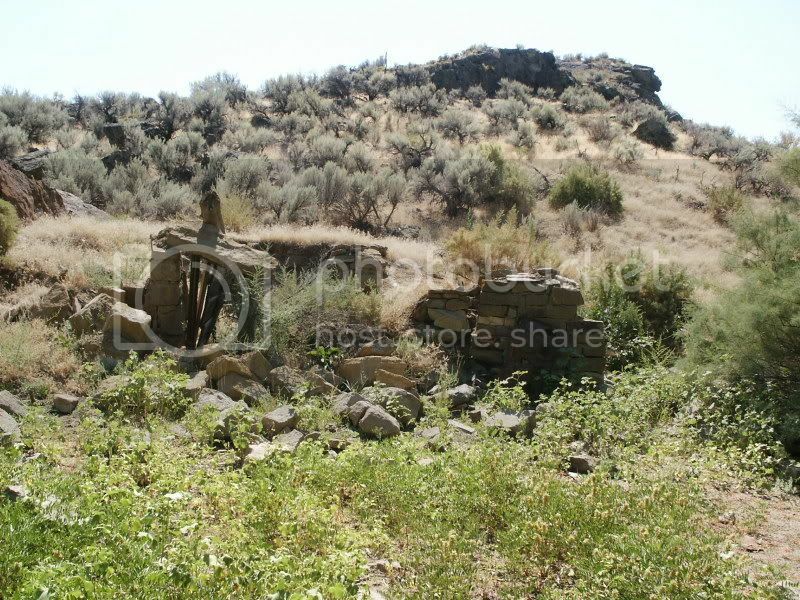 Hey there George, great pics of Watson area remnants. 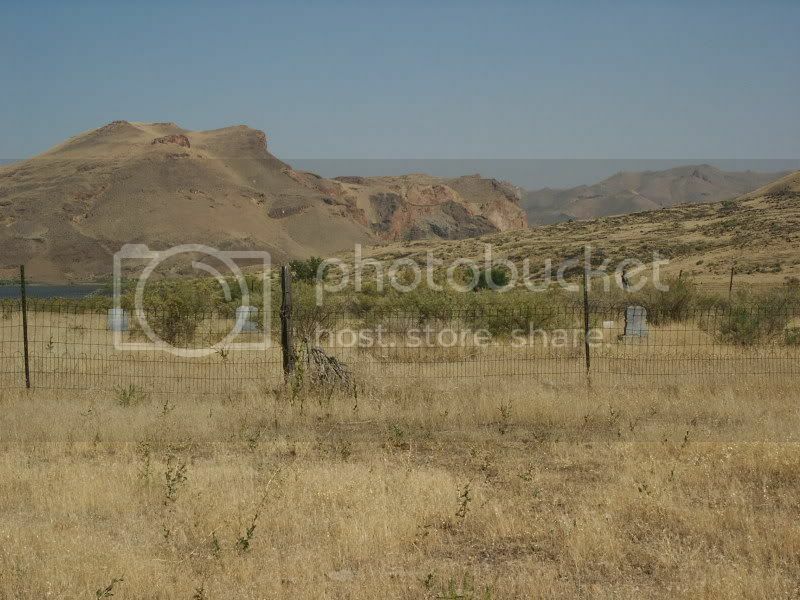 I love that whole E Oregon area expecially along the Owyhee. My understanding is that there were several waterwheels stretching as far as from the E Fork to at least one below the dam. The one at Birch Creek is still hangin on (literally). Tried to get to Watson from the S side in my old Cherokee last year but got chased out by a rainstorm. Got back to the top just in time to get hit hard with it and muck and slide on to better roads. By your photos, it looks like you might have gone in by boat. Have you ever gone in from the NW side of the reservoir on those roads. I've thought of walking in to the cemetery from the Tongue side, but I've got too many years on these old knees. I'm gettin tired of kickin snakes too. 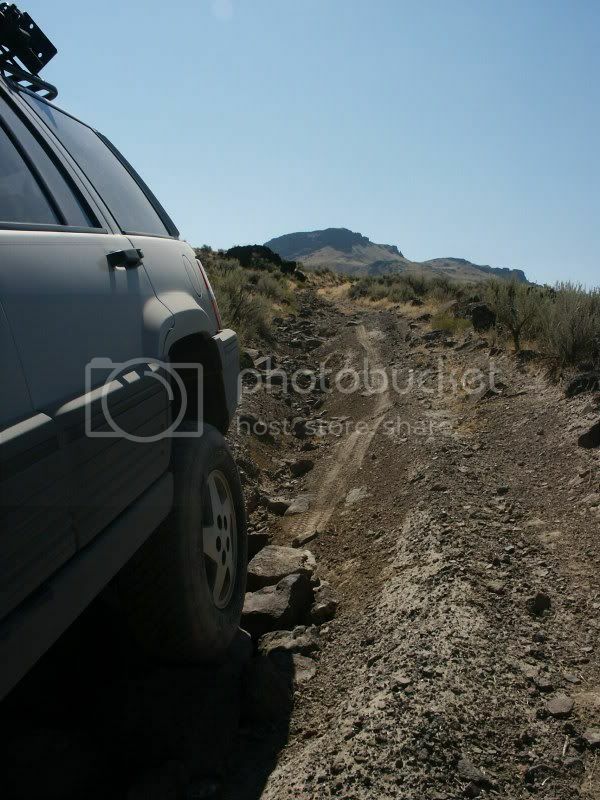 Anyway, great photos, glad to know there are others that find Malheur country great! Glad you injoyed the pictures. I drove in from the east side in August of last year (2006). The road was not that bad at the top so I thought it was going to be a cake walk. Wrong! The road got steadily worse as I got closer to the bottom. Every time I thought that I was through the worst of it it was worse 100 feet farther down. By time I was half way down I figured it was all or nothing. The area is very isolated even today, makes you wonder what it was like a hundred years ago. Had to have been hardy souls that lived there. 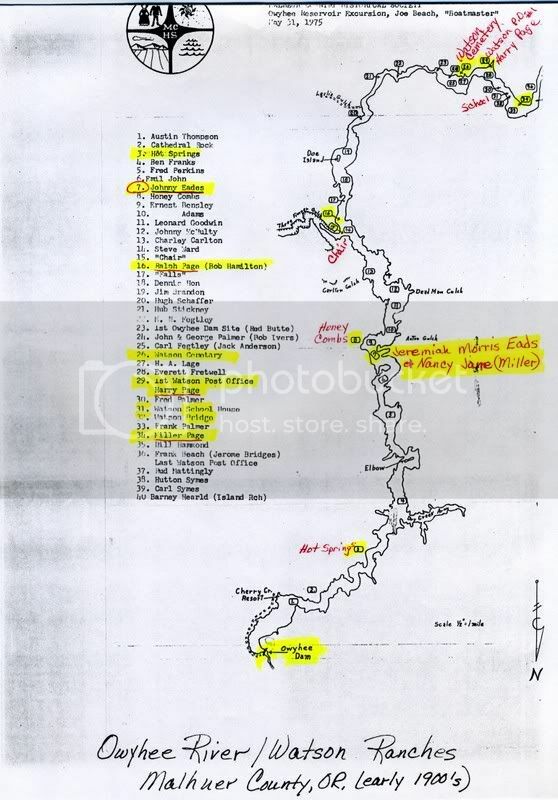 I conversed with the gal that owns the website metioned above and she sent me a map of the old ranches from the dam up. I would imagine that most had waterwheels. The hike to the cemetary is about 2 miles from the closes place you can drive. 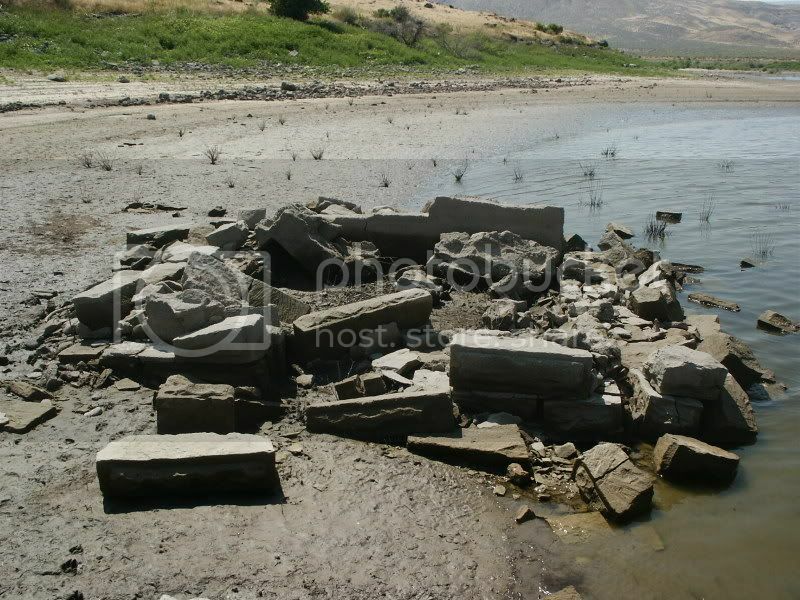 I found the foundations along side the reservoir. they were quite substantial buildings. Made me wounder how they got the stone in there. The hike to the cemetary was a rocky one but did not have to kick any snakes! Did not see a snake the whole trip. By the way there is a hot springs not to far from the cemetary. Great for bad knees! Love the Malhure, Harney, Owyhee area. Lots of great places to see, natural and man made! Thanks for posting more pictures. I can recognize that that's the same road that I turned around on. You're right, it just gets rougher and rougher. My rig usually gets me about anywhere I want. And if it doesn't, I'm happy to get out and walk the rest. But not when there's that wet Owyhee gumbo. I'd loved to have seen the communities and ranches along the river before the dam. Think that Owyhee Historical Society Library/Bookstore has a short oral history volume that some of the old-timers from some of those ranches put together some time back. That should be interesting. I remember looking at that website you mention a few months ago. Real interesting. Yep, most of my kicking around is in Malheur Co, or Owyhee Co. There's plenty of natural beauty to see. Often Indian pictographs, or old homesteads. I love digging into what history can be found. Maybe next spring or summer I can get to the bottom of that road. My rig is sitting a little higher now and has better tires. Had one day out that way a couple of years ago that was a two-flat day. Second one went all the way down as I pulled into the driveway. Makes you count your blessings! Later.....docsma (Don) When I get more time I'll try to post a picture or two. Great site with great links. Many thanks. Your welcome. Good to share good information. The gal that owns the sight was quite helpful in the history of Watson. She mentioned that they use to have Watson resident reunions well into the '70s and did mention the book some put together. Here is a map she sent me. Hard to believe that there was that many people living up that canyon then. 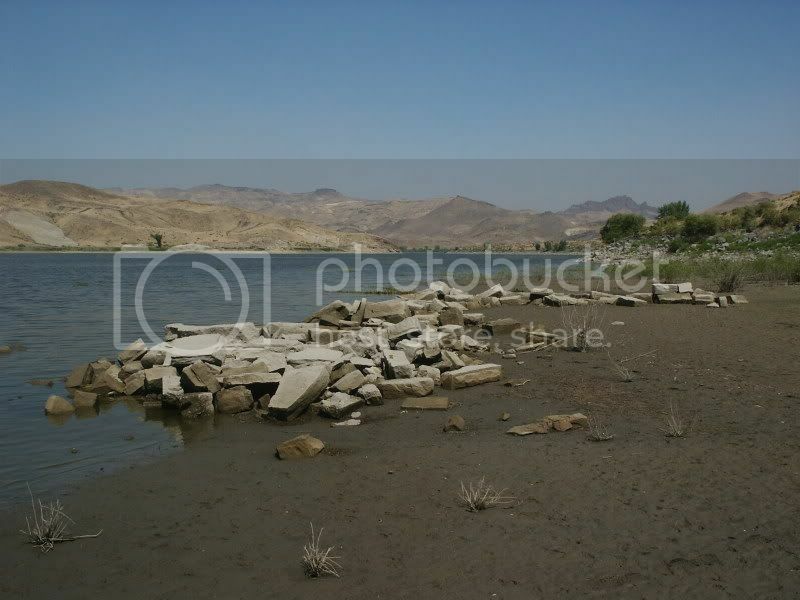 By the way did you know that when they built the Owyee Dam it was the tallest dam in the world? Thanks for sharing the map. It's great. I want to sometime hike downstream from Birch Creek to the Island Ranch that's on the map. Guess there was/is a waterwheel there too. Yeah, I think I did read that the dam was the highest in the world at that time. They put a lot of work into making those long tunnels and siphons to get the water out of there too. This wheel at Birch Creek is above slack water 3 or 4 miles or so. It's better seen from the other side of the river, I'm sure. It's at the Morrison/Pinnacle Ranch. That ranch is on the National Registry of Historical Places and well worth the time to see if you haven't yet. It's pretty easy to get into when it's dry. Unfortunately it's illegal to drive downstream from there to see Watson. Raft it or walk it on this stretch. Protected river corridor and all.....Beautiful hole in the ground, as they say. Saw a bunch of river otters playing there last Oct. Great stuff! I haven't made it down to Birch Creek yet. I hope to maybe this year. I have so many places that I want to go it is hard to figure out which one next. Just picked up a ATV so now that opens up a whole new can of worms.